The chain won the award for hospitality experience tailored to the needs of tourists from China. The Dan hotel chain won the CTW Award for quality of service and product adaptation to the Chinese tourism market at ITB SHANGHAI. The prize was awarded by COTRI – China Outbound Tourism Research Institute. 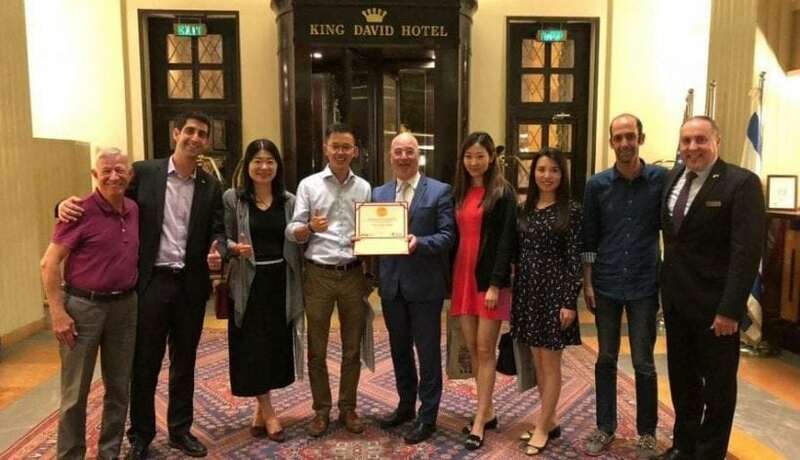 The chain won the award for product development and hospitality experience tailored to the needs of tourists from China in an international competition in which hundreds of hotels from all over the world took part. Three years ago, the chain launched a unique hospitality concept for Chinese tourists known as “Dan Hotels welcome our Chinese friends”. This concept of guest experience in Dan Hotels includes Chinese welcome postcards, Chinese TV stations in guest rooms, Green Tea and Jasmin Tea as per preference of the Chinese tourists, authentic Chinese cuisine at the morning buffet in the hotels, brochures in the Chinese language, shower and shaving kits etc. As part of this operation, the management office of Dan Hotels instituted a specialized department for Chinese tourism market, under the management of Roy Kriezman. Thus, creating especially active Marketing operation in the Internet and Chinese Social Media platforms.